This Canadian series focuses on the McLean/Hall family in Nova Scotia in the early 1900's and their involvement in the coal industry. 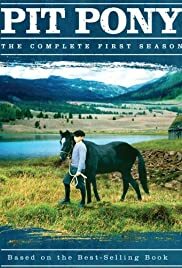 Young Willie enters the mines after the death of his father and forms an attachment to the horses who work below ground. This movie ,(Well TV Series) is one of the best, heart-warming, clean movie here in this world.True that there are a few rarely used swear words but all is good.Thank the Lord for this movie,for it's very, VERY hard to find a nice clean movie. Even though the actors aren't entirely professional the movie is really really good.And they really knew how to make the freaky parts scary....makes pricks go up your spine. It's sad, VERY sad to hear there is only one season though! I can't believe that! Terrible. I really hope that they will continue one day-soon. Yes, this movie is highly recommended for the entire family. Worth buying. Worth having. Worth watching. 12 of 52 people found this review helpful. Was this review helpful to you?